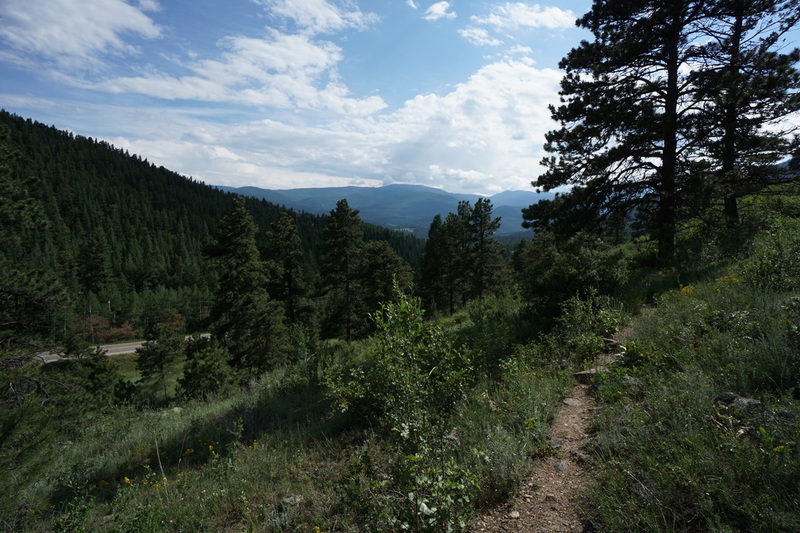 Directions: From Denver head west on I-70 to Evergreen Parkway (74). 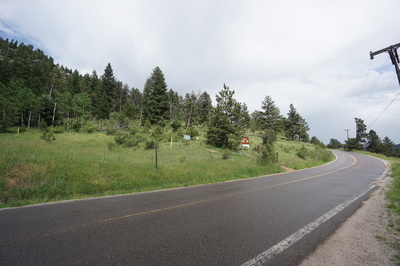 Head south on 74 and turn right (west) on Stagecoach Blvd following signs to Elk Meadows Park. Continue on Stagecoach Blvd, past Elk Meadows Park for 4 miles. The trailhead is on the right but very hard to spot coming from the east. The trailhead is across from a large shoulder (parking) just before Stagecoach Blvd crosses Witter Gulch Road. 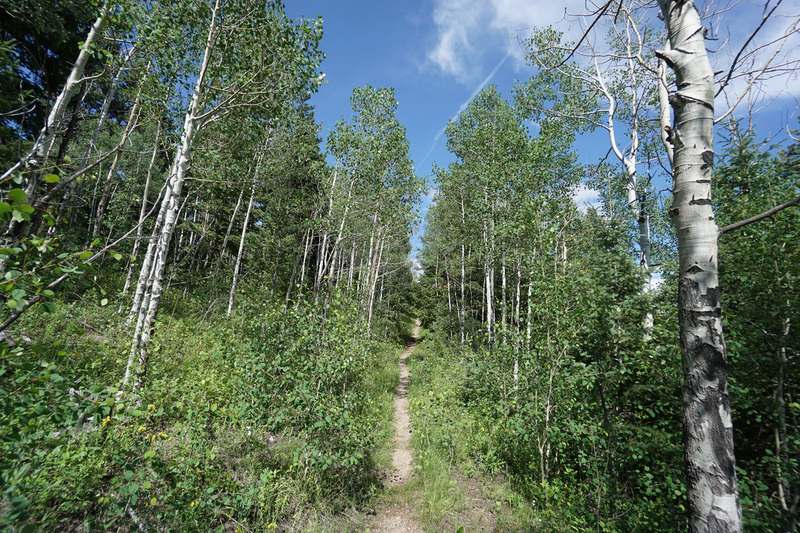 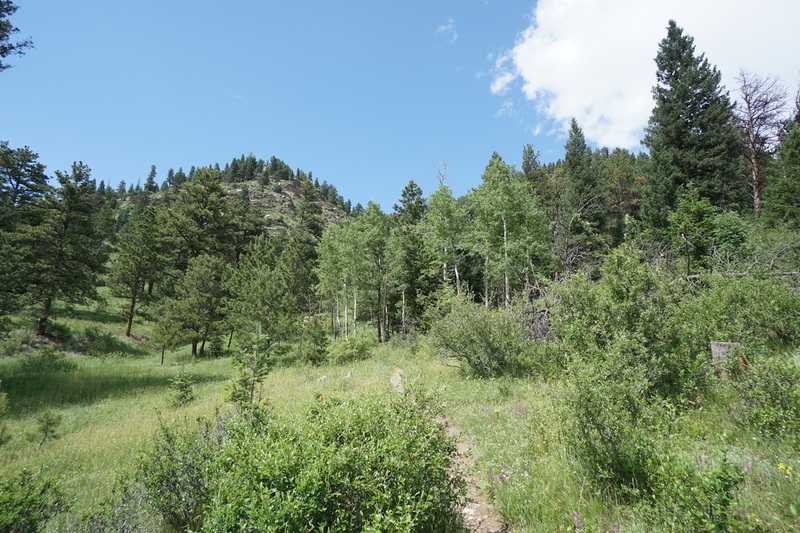 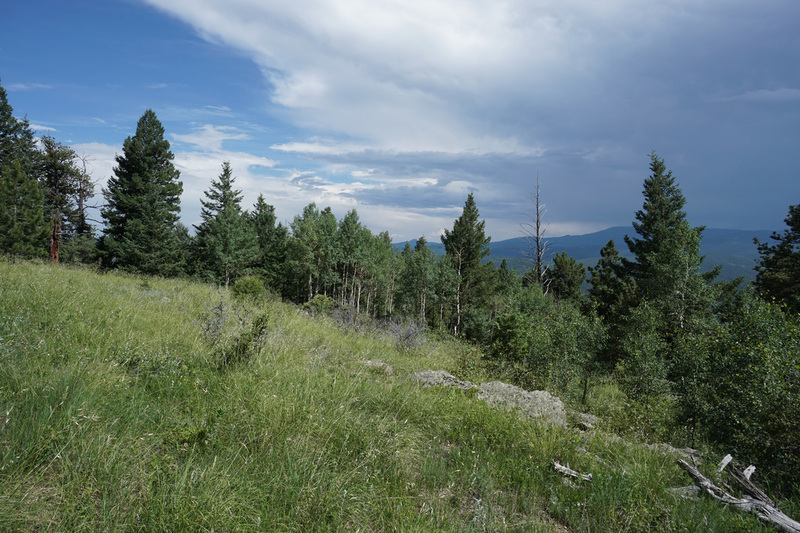 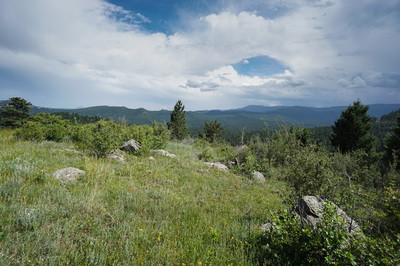 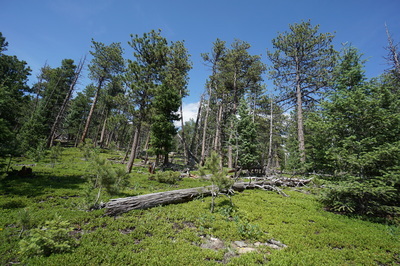 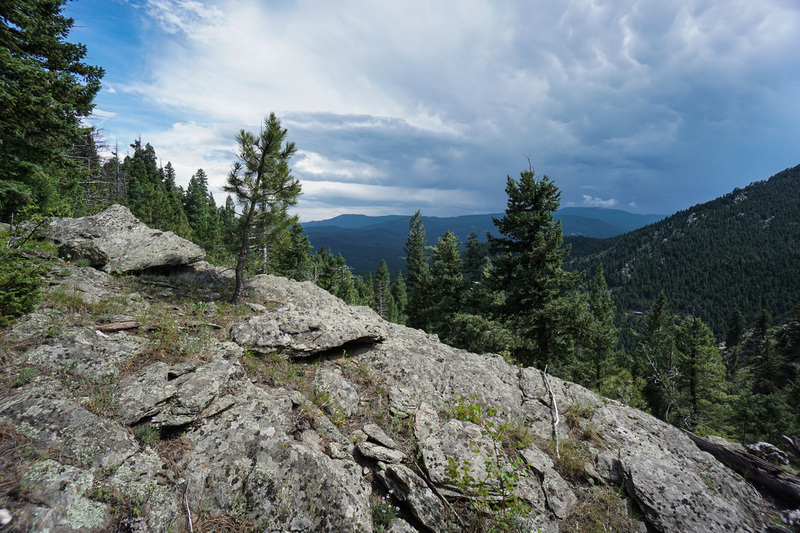 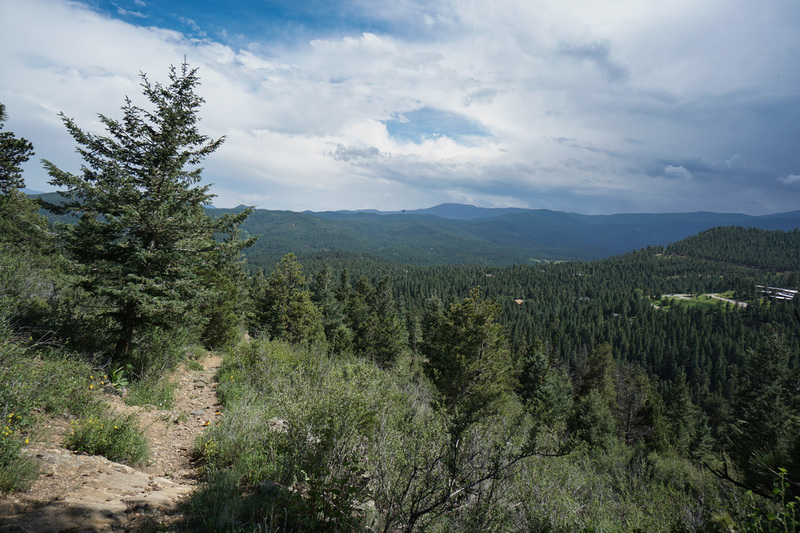 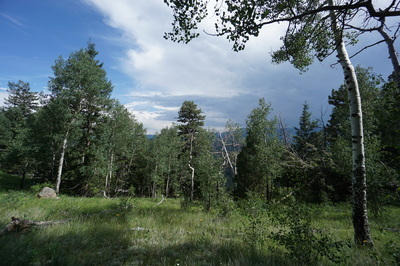 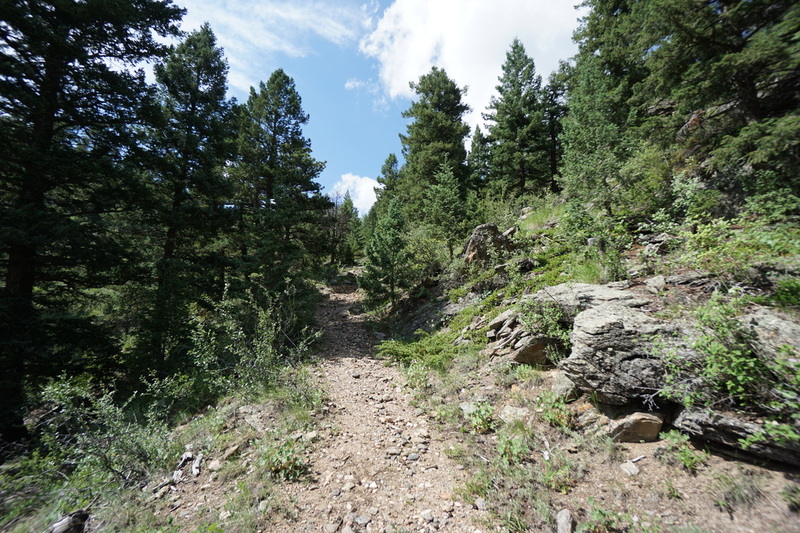 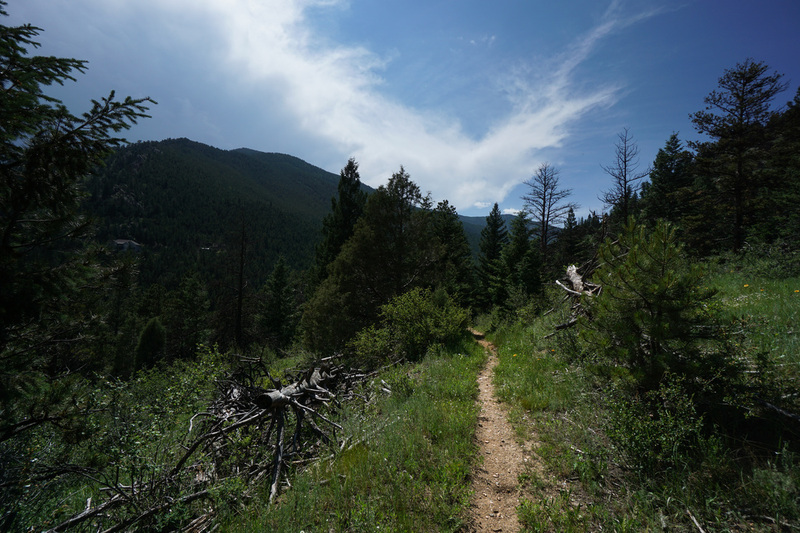 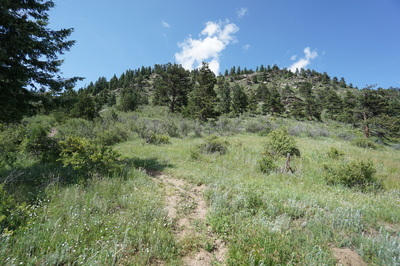 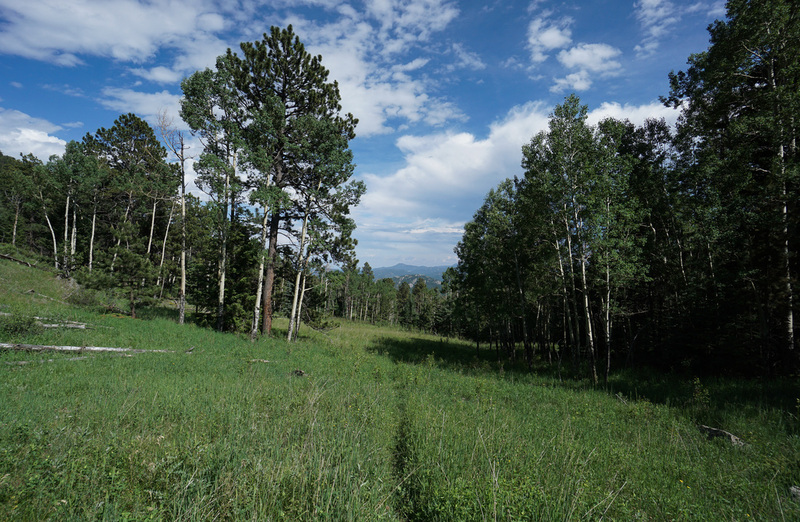 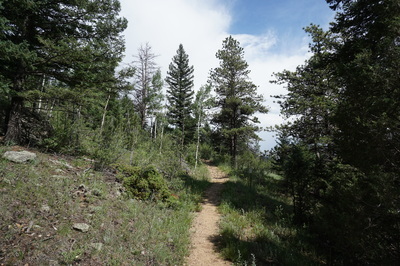 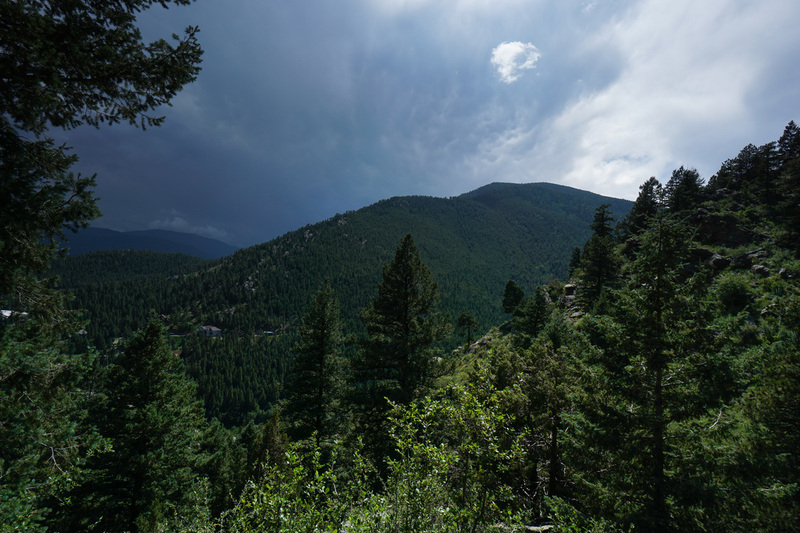 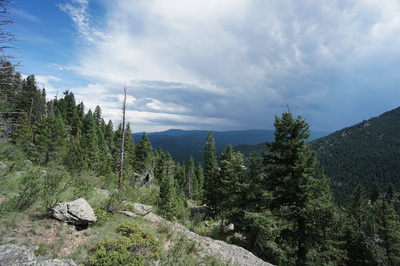 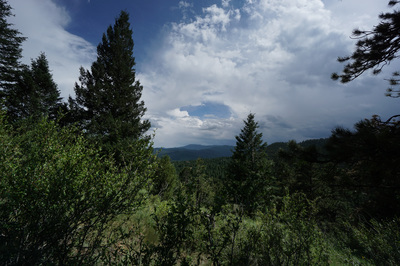 Not to be confused with Bergen Park (Denver Mountain Park) nor the hike up to Bergen Peak (Elk Meadow Park), Bergen Peak State Wildlife Area has a little known and seldom used hiking trail. 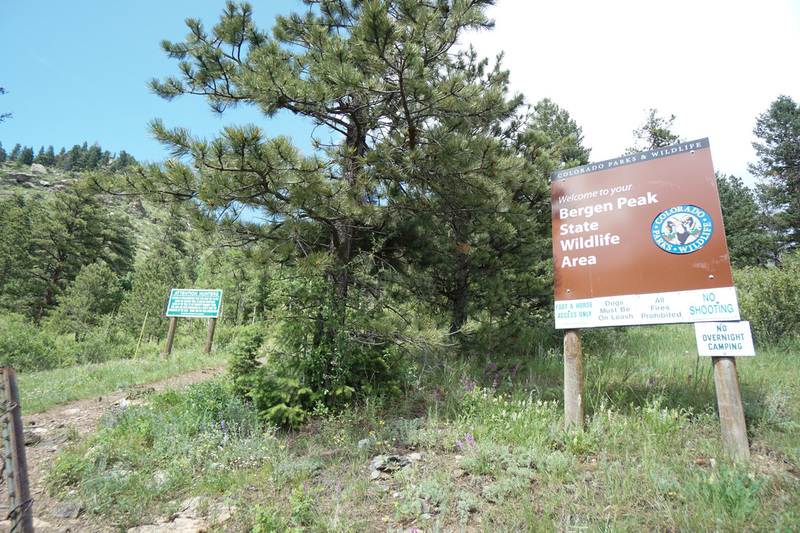 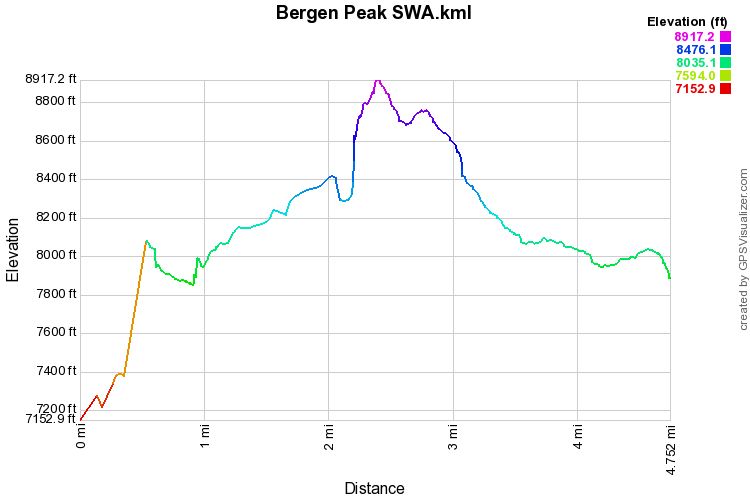 The trail does not go up to Bergen Peak, it just skirts the south face of Bergen Mountain visiting meadows and Aspen groves along the way. This are is really quite pleasant. The views of the surrounding foothills and Mt. 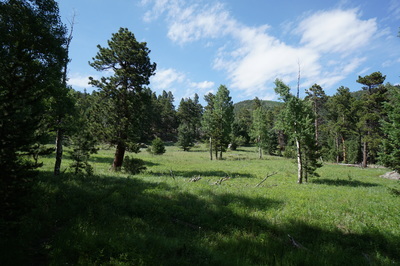 Evans, and the green meadows lined with Aspens make this an area to revisit in various seasons. The trail leading you back downhill and to the trailhead is easy to miss. 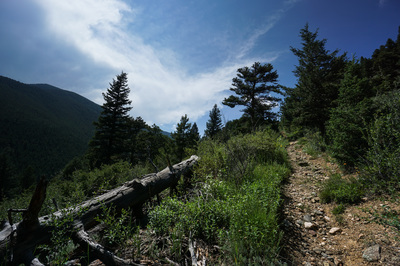 There is (was) a tree branch blocking the trail and a faint trail to the right heading downhill. However, the trail going straight is much easier to see and since there are no trail signs here, it makes more sense to stay straight. Although staying straight does not lead you back to the start, I do suggest following this trail for another 1/2 mile or so. You'll cross a creek and find yourself in a spectacular grassy meadow. The trail becomes faint and overgrown and leads straight uphill through the center of the meadow. 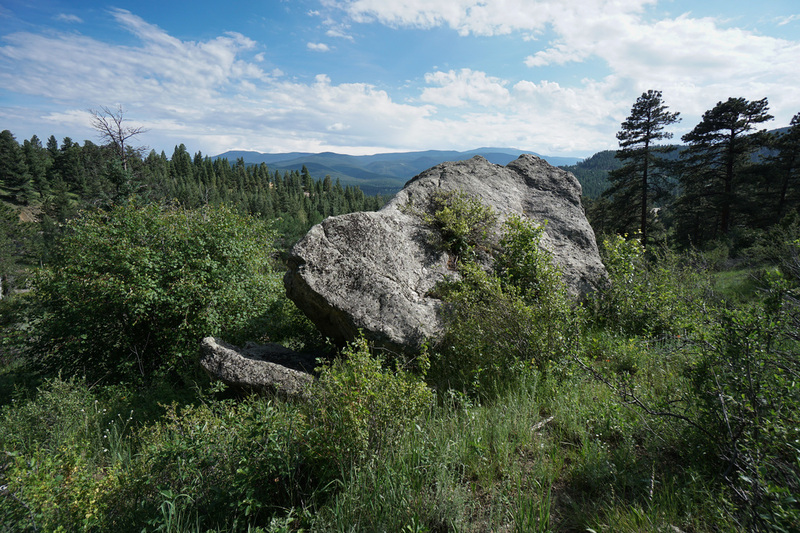 The meadow is lined with Aspen and rock formations and is a great spot for a snack and relaxation. 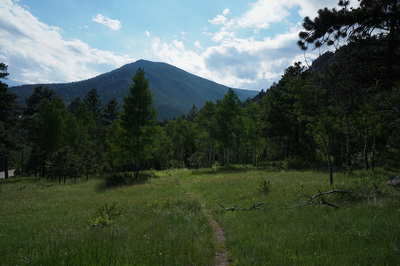 If you continue on this faint trail, it probably takes you to the northern trailhead, but I have not gone farther than this meadow. 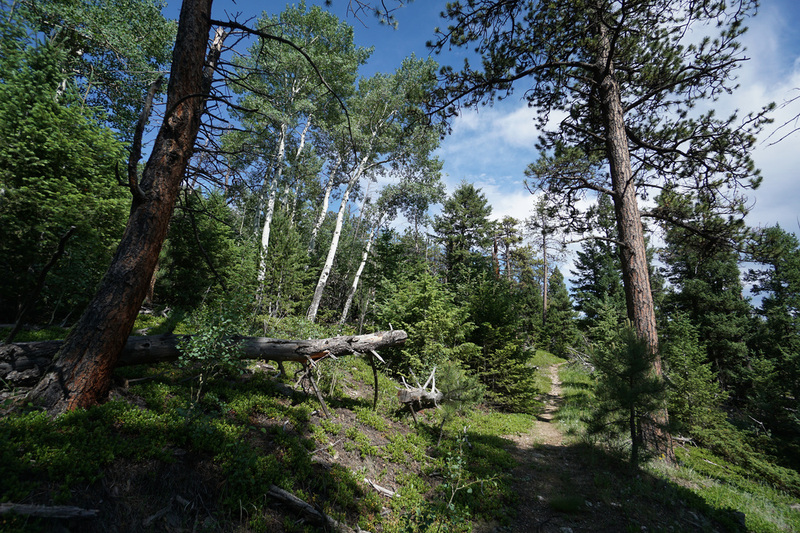 Head back along the trail and look for the branch and the faint trail. 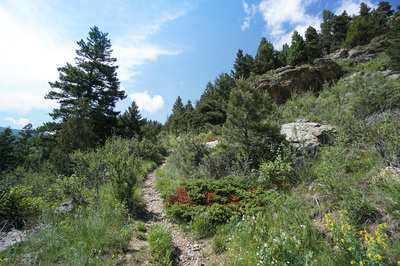 The faint trail gets more substantial as you descend steeply and pretty soon it will be clear that you are on the right trail. Descend into the evergreen forest and turn back to the west. 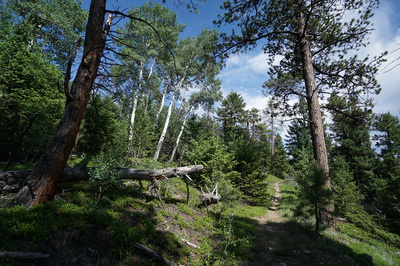 This section of the trail is much drier and can be overgrown, but it is still clear and easy to follow. 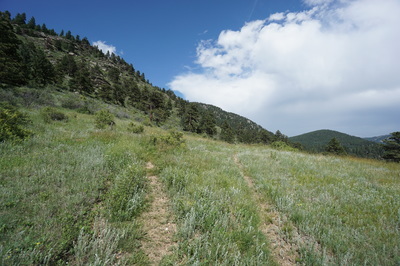 You'll parallel Stagecoach Blvd for a bit and skirt the boundary of private property as you make your way back to the trail split and the trailhead just beyond. 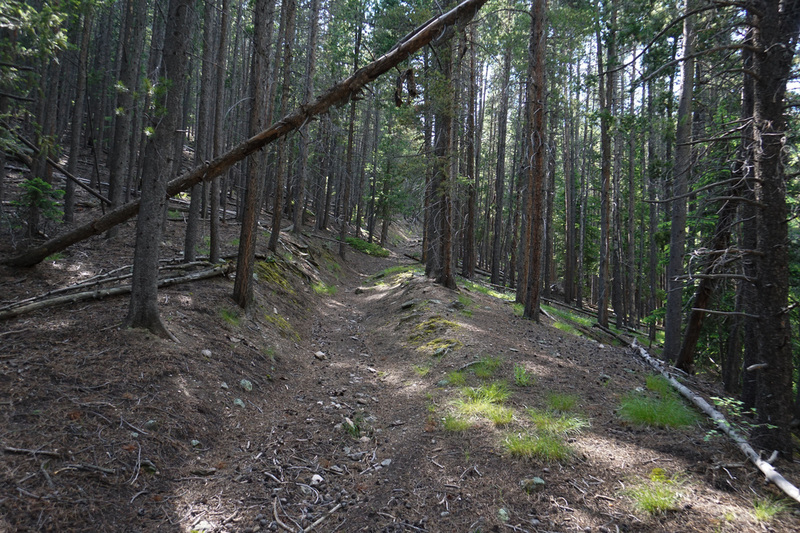 Although this area is intended for hunting access (wear bright colors...), this trail is a wonderful hike. 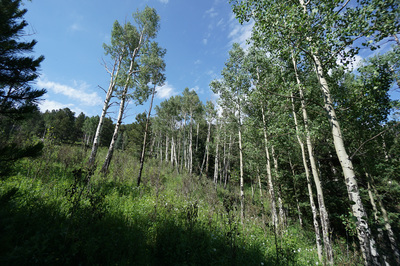 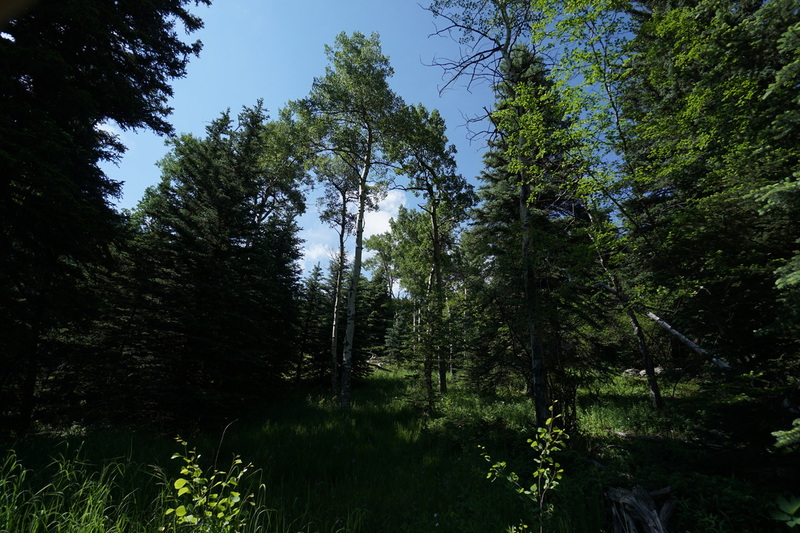 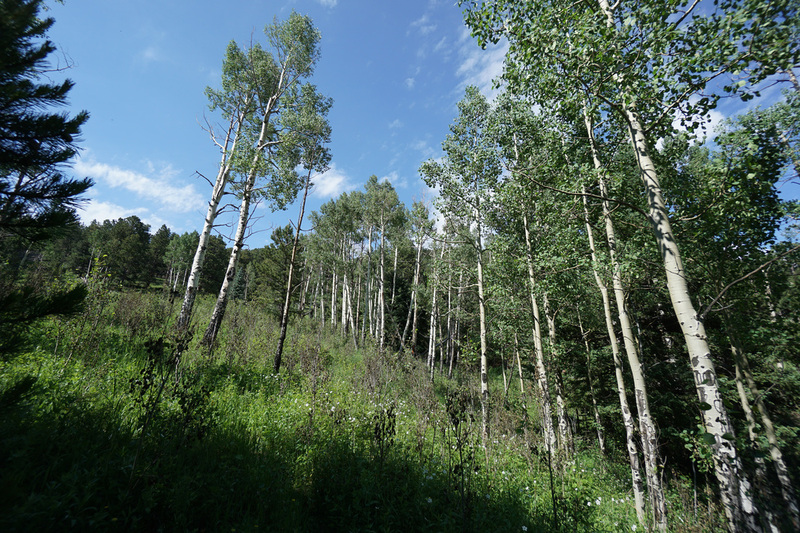 With all the Aspen groves, I am looking forward to returning here in the fall. 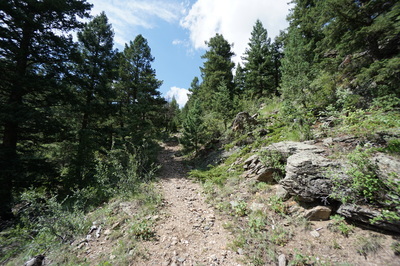 Truly a hidden gem.